Supplementary material reads: "Photo assignment for Monday February 11 at 12 noon. Pls. 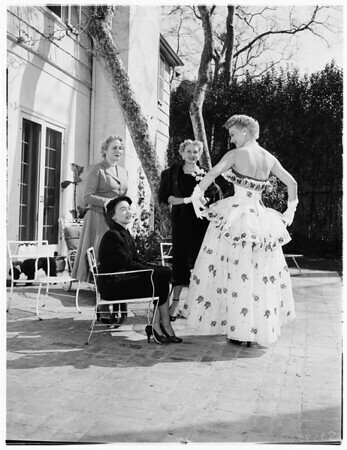 go to home of Mrs. Walter Deiches [sic], 949 Stone Canyon road, Bel Air, get shots of Zeta Tau Alpha women planning fashion show. Candid, three and five cols., include Mrs. Deiches. Contacts Tuesday. Thanks, Carter Ludlow".